*Her own personal breakfast birthday cake, because, of course. She reads to herself late into the night. She choreographs all her favorite movies and it’s like an off-off-off-off Broadway experience. She loves all living creatures. We have a lot of discussions about not touching snakes. She would eat macaroni and cheese every single day if I let her. She steals flowers out of neighbor’s flower beds and gives them to me. She is a little living sun. She spreads her warmth and cheer on everyone close by. I am blessed, over and above anything I could imagine or deserve, to be her mother. Happy birthday Jane. We love you to the moon and back, and back again. You wait. We are discovering that four is even better than all that went before!! Jane is a joy! Happy Birthday to Jane! I don’t have any children, but from what I’ve observed in my family, Four is a great age. Enjoy the year! Happy Birthday Jane!! Four is a great age!!! Its so good to “see” you again. I have neglected my blog for so long I didn’t know you were back. Looking forward to catching up. Blessings. It seems impossible she is 4 already! Happy, happy birthday, Jane! Happy birthday, Jane! I know it’s a special one now that you’re 4. Happy birthday to Jane and continued blessings! Happy birthday to sweet Jane! Happy birthday to Jane! 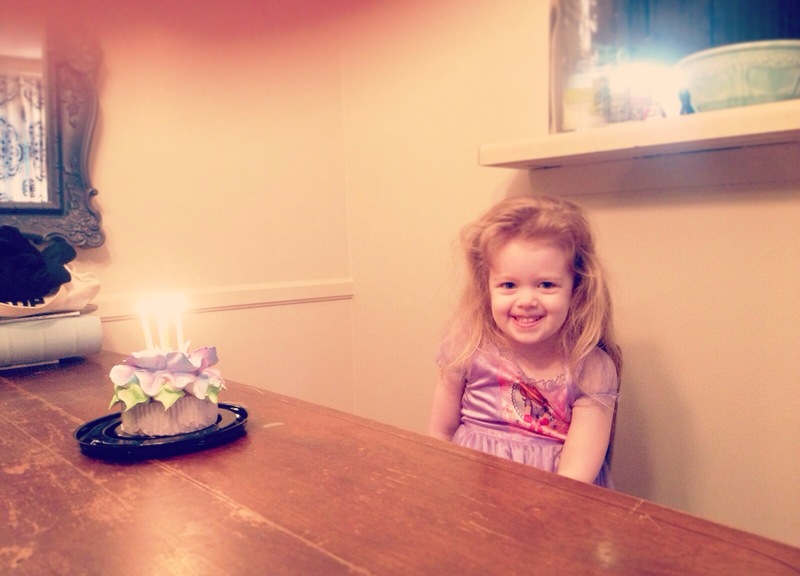 How is she four already? Four!? Already!? Happy Birthday Jane! You are precious! !